Be the Star You Are & Help The Stars We Serve. 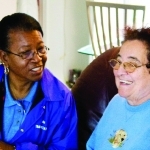 Meals on Wheels of Albuquerque has close to 400 volunteers who staff four different sites in Albuquerque and Rio Rancho, participate in fundraising activities, work in the Meals on Wheels of Albuquerque kitchen and office, and/or deliver meals to the homebound to provide social interaction to meal recipients. Come spend a few hours, once a week with us and make a difference for those in need! For more information, call your Volunteer Coordinator at 505-823-8064 or email us at volunteers@www.mow-nm.org. Kitchen Volunteers are needed one morning each week for one to two hours at the Northside Presbyterian site. Duties include packing food items and packing cold packs. Hours are 7-9 am or 9-10 am. Program Office Administration Volunteers are needed one day a week for about two hours at the Northside Presbyterian site. Duties include copying, data entry, filing, stuffing envelopes, and other similar activities. Hours are flexible. Drivers are needed one day a week or as a substitute when needed for approximately two hours. Duties include delivering a hot, nourishing meal to our clients. Meals are picked up at 10:30am at one of our four sites: Northside Presbyterian (north), Kaseman Hospital (east), Presbyterian Downtown (south) or Rust Medical Center (west). Site Coordinators are needed one day a week or as a substitute when needed for approximately three to four hours at one of our four sites; Northside Presbyterian (north), Kaseman Hospital (east), Presbyterian Downtown (south) or Rust Medical Center (west). 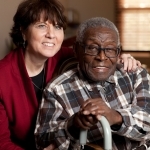 Duties include acting as a liaison between the drivers and the Meals on Wheels of Albuquerque main office. Hours are 10:00am – 1:00pm. 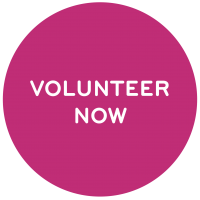 Speakers Bureau, Committee and/or Special Events volunteers are needed to assist in the planning and execution of various fundraisers and events we have throughout the year. Please contact Tanja Jenkins, Program Director, at 505-823-8061 or email her at tjenkins@www.mow-nm.org to inquire about specific events you may be able to volunteer for. 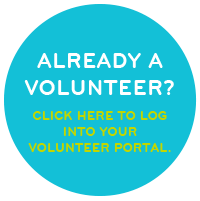 Click here to sign up through our volunteer portal! Many business leaders are interested in having an opportunity to give back to the communities in which they work and live. Joining the Meals on Wheels of Albuquerque Corporate VIP Driver Program gives companies, organizations, and churches across the metro area a tremendous volunteer opportunity for their employees and members.